Stromness Ferry Port is on the South West coast of mainland Orkney and is the second largest town in the Orkney Islands. The port of Stromness has long been established as a seaport, becoming more important when England was at war with France in the late 17th century. Ferries from Stromness sail south to Scrabster on the Scottish mainland. The routes to and from Stromness are operated by Northlink, and you can find the right ferry for you using the simple booking system from AFerry. Below you can find Stromness ferry times, as well as our best deals. Northlink operates the MV Hamnavoe on the Stromness to Scrabster route. Facilities onboard include comfortable lounging areas. Latest check-in time for the Stromness Ferries is usually 60 minutes before departure for motorists and 30 minutes before departure for foot passengers, but be sure to check with the operator before sailing. Northlink offer great deals and promotions on Stromness ferry crossings, and you can take advantage of these by booking simply and securely with AFerry. The town of Stromness is centred around the main street with narrow alleys branching off it. To learn more about Stromness and its port visitors can visit the Stromness Museum which illustrates the history of the town and its fauna. 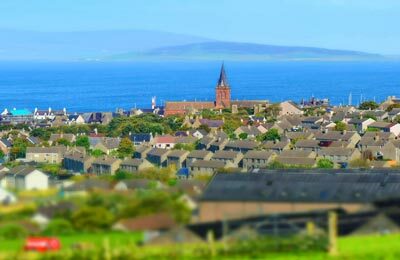 Stromness also has a golf course which welcomes visitors, weekday mornings and afternoons are usually available with weekends becoming busy during club competitions. Short term car parking facilities are available at the Stromness Ferry Terminal. Long term car parking facilities are available on Ferry Road near the Terminal. Other facilities include a tourist information centre, luggage area with lockers, vending machines and toilets. Stromness Ferry port is 16 miles from Kirkwall. Once in Stromness there are signs up directing visitors to the Ferry Port. 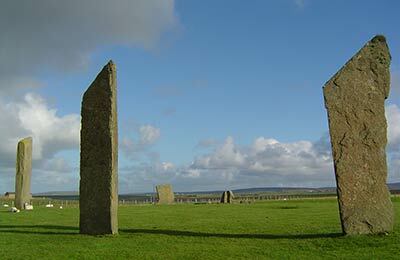 Buses run daily (not Sundays) between Kirkwall and Stromness.